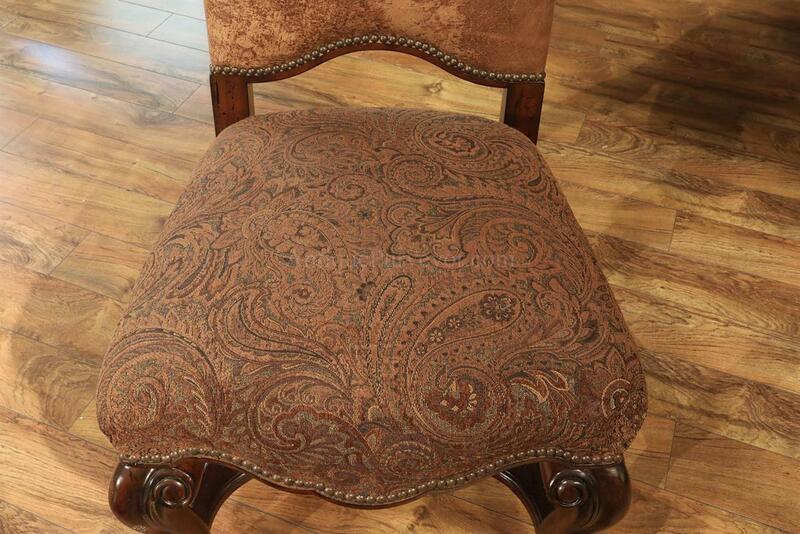 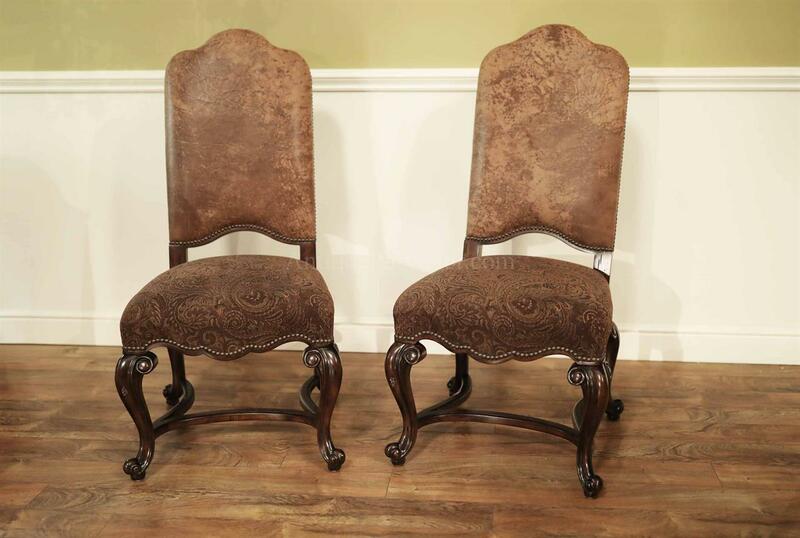 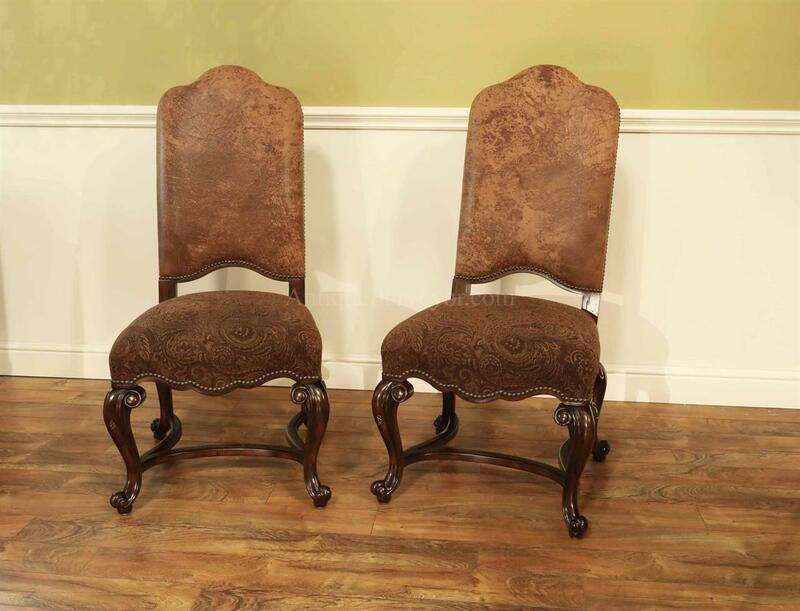 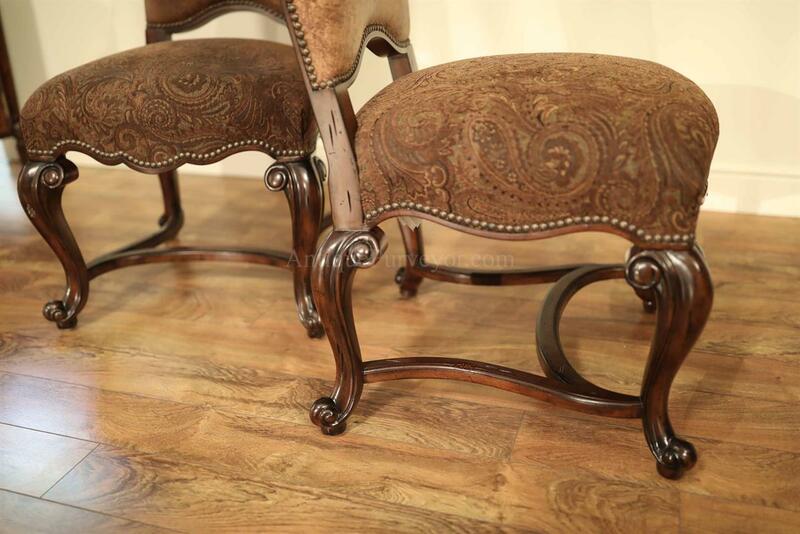 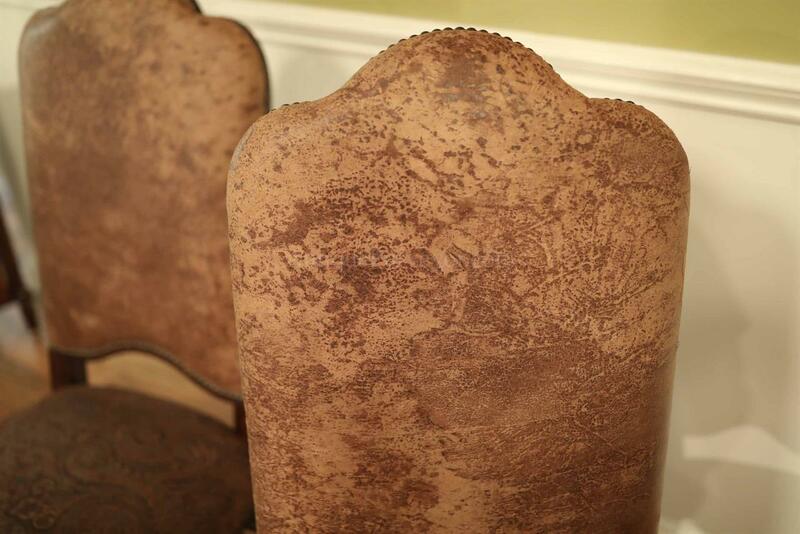 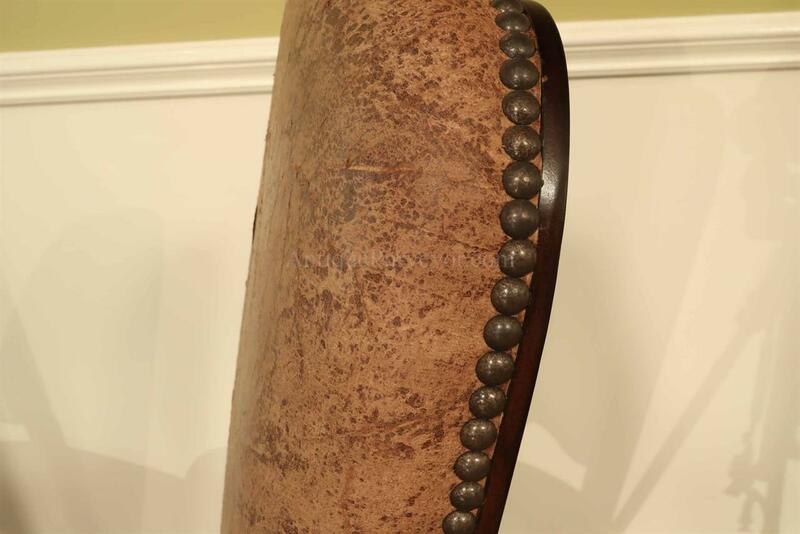 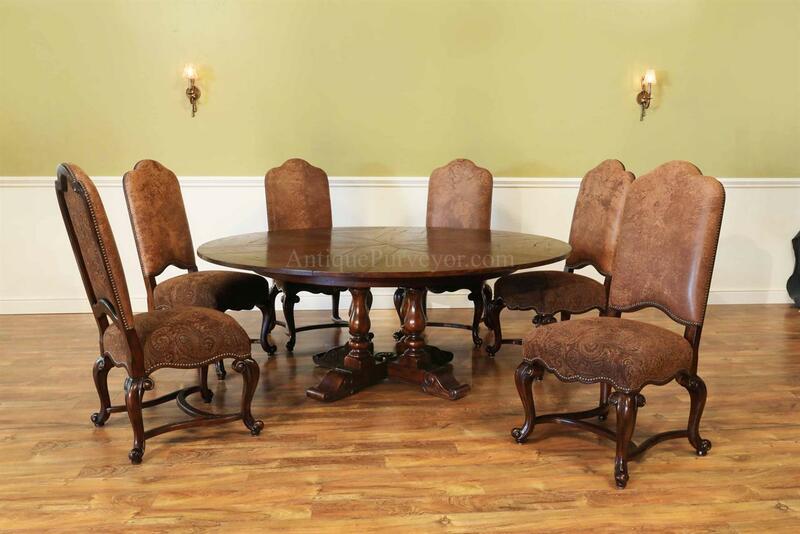 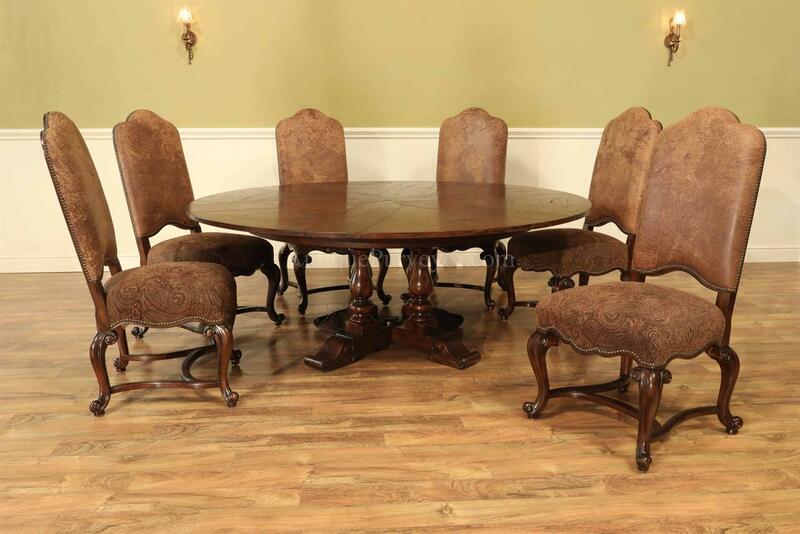 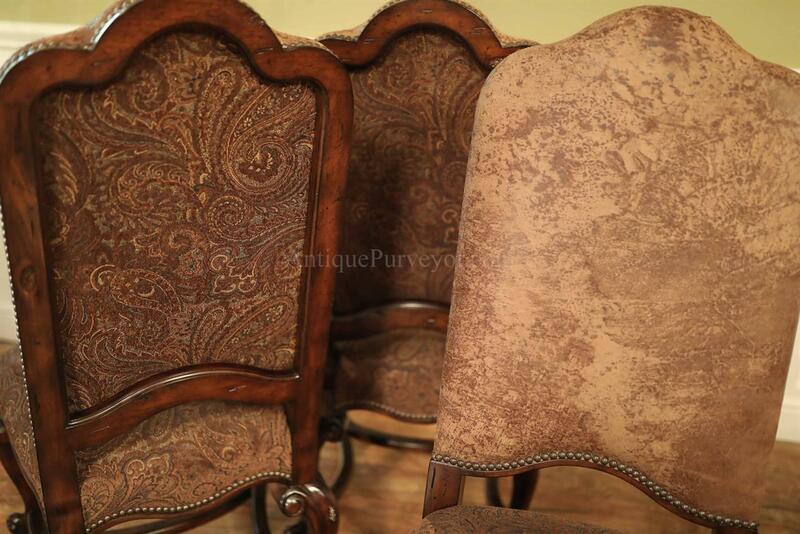 Description: HIgh-end designer grade leather and paisley upholstered dining chairs. 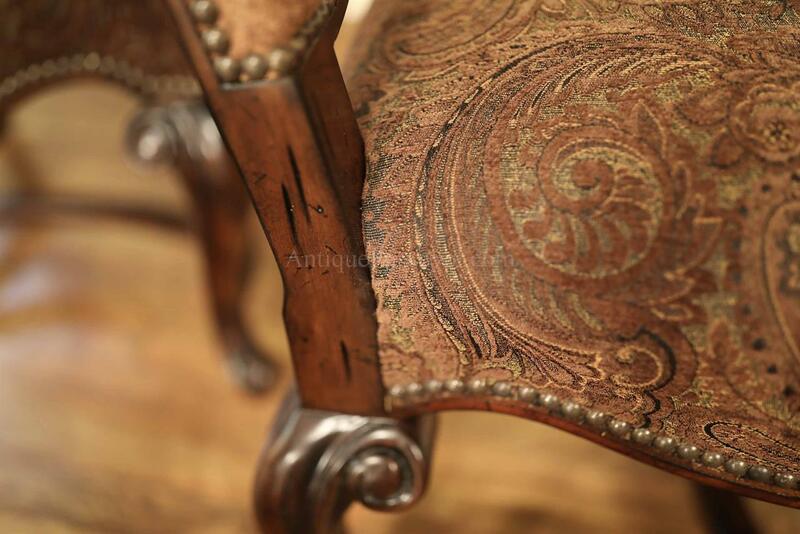 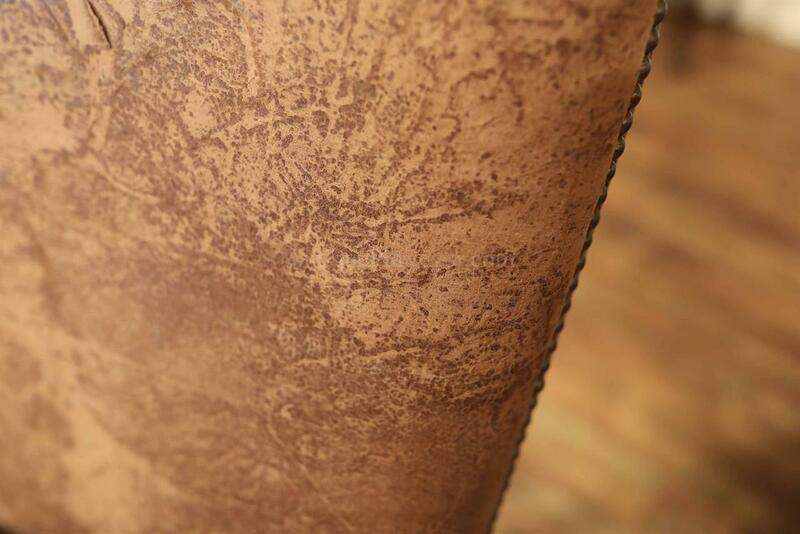 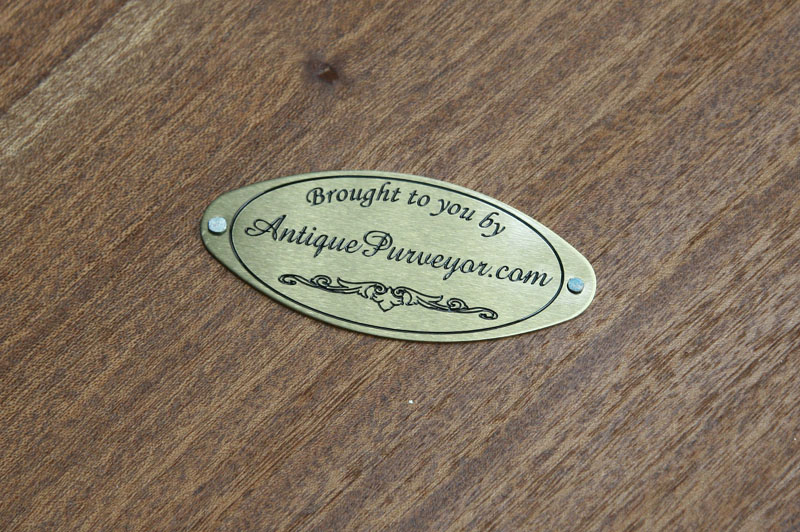 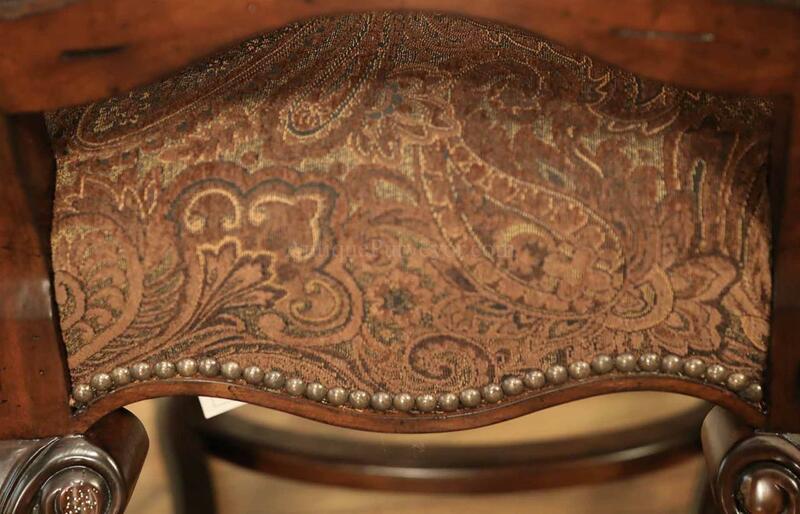 Brass nail finished antique leather and dark lido finish. 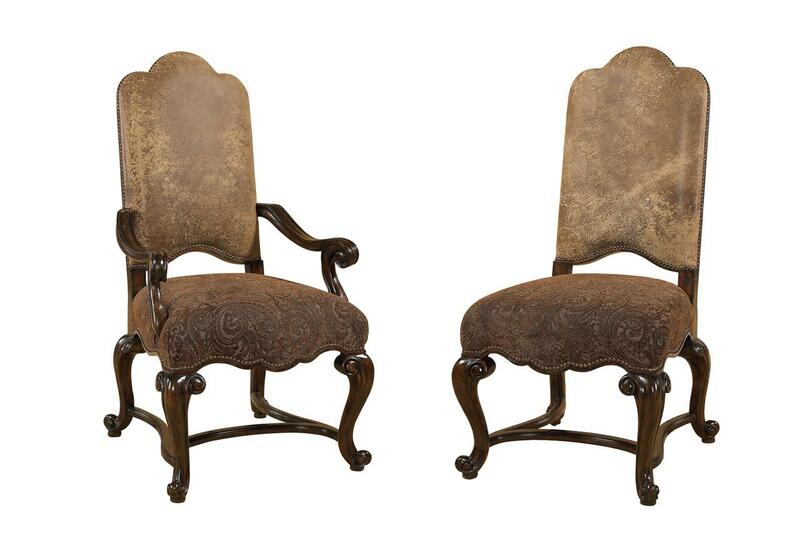 Heavy chairs for a Mediterranean style home. 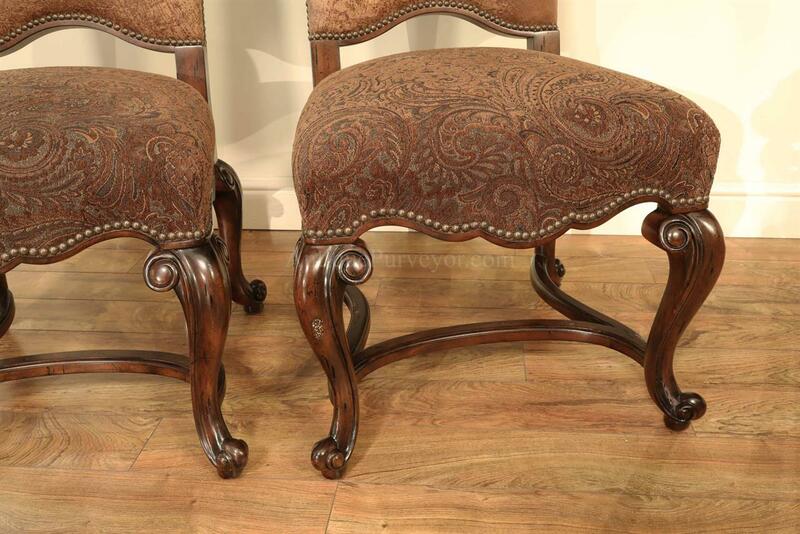 Camel back and gabrielle legs with full stretchers.